• Damp or wet fabrics must never be left rolled up or folded over long periods of time. • Fallen leaves or droppings should be removed immediately to avoid bacterial decay. • Dirt is best removed with a soft, clean and dry brush. • Stains can be treated with warm water, a soft brush and some detergent. Rinse thoroughly afterwards with plenty of clean water, then allow to dry. Treat with a commercial weatherproofing agent. • Do not use aggressive detergents (pH 7 values and more). • Make sure the fabric doesn‘t rub against walls or other obstacles, or get caught-up in the frame when opening, closing or adjusting the parasol. 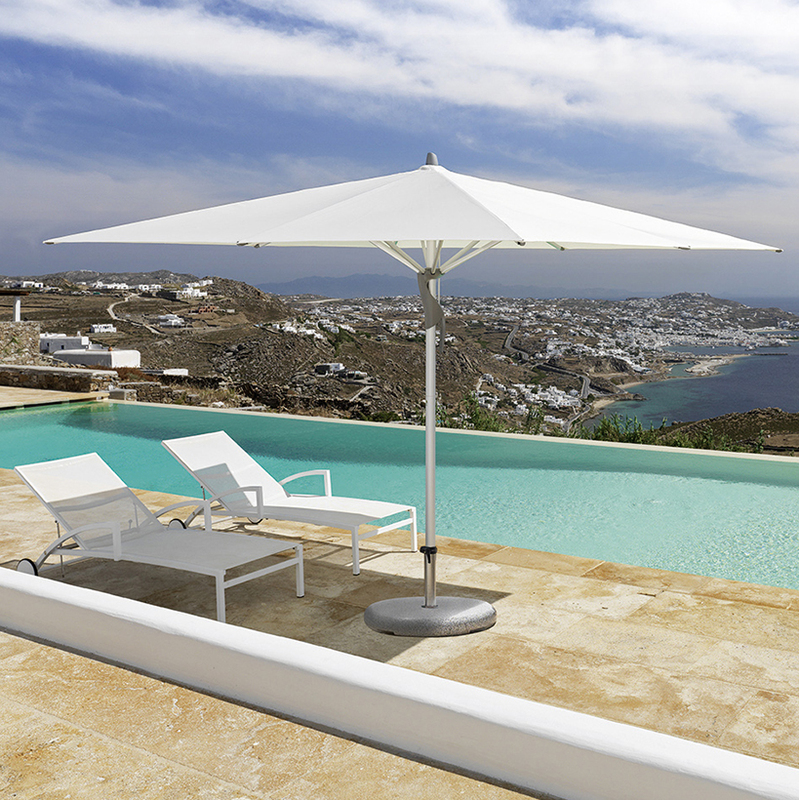 • Make sure that parasols are closed properly with the single fabric panels folded outwards and gently secured. Creases caused by careless wrapping are not covered by guarantee. • Parasols must not be allowed to flutter in the wind. Damage or holes caused by abrasion are not covered by guarantee. 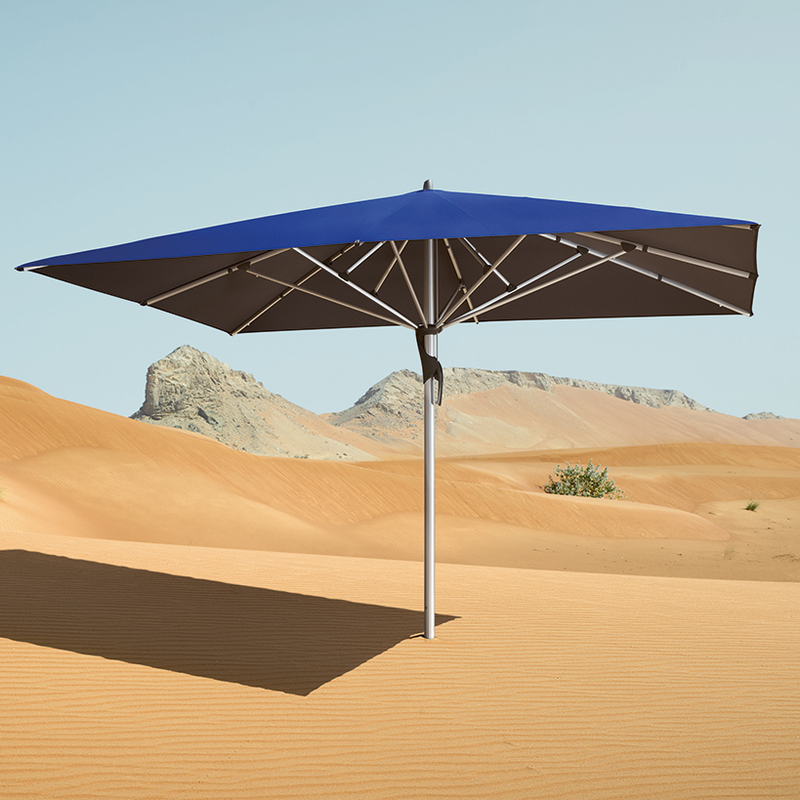 • We recommend covering your parasol when not in use. Aluminum is a material that is easy to care for. Dirt should be wiped away with a damp rag, and then dried with a soft cloth. The stainless steel parts supplied by Glatz are manufactured with top grade steel (1.4301 / 304). This is the industry standard for outdoor products. 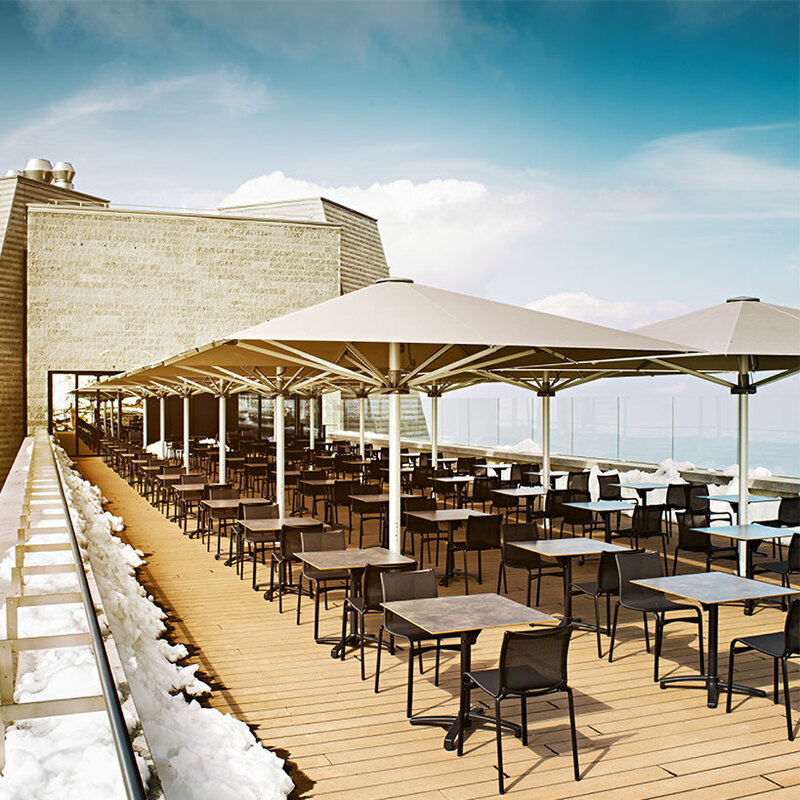 However, it should still be cleaned and maintained, especially as your Glatz parasol will be exposed to the elements. 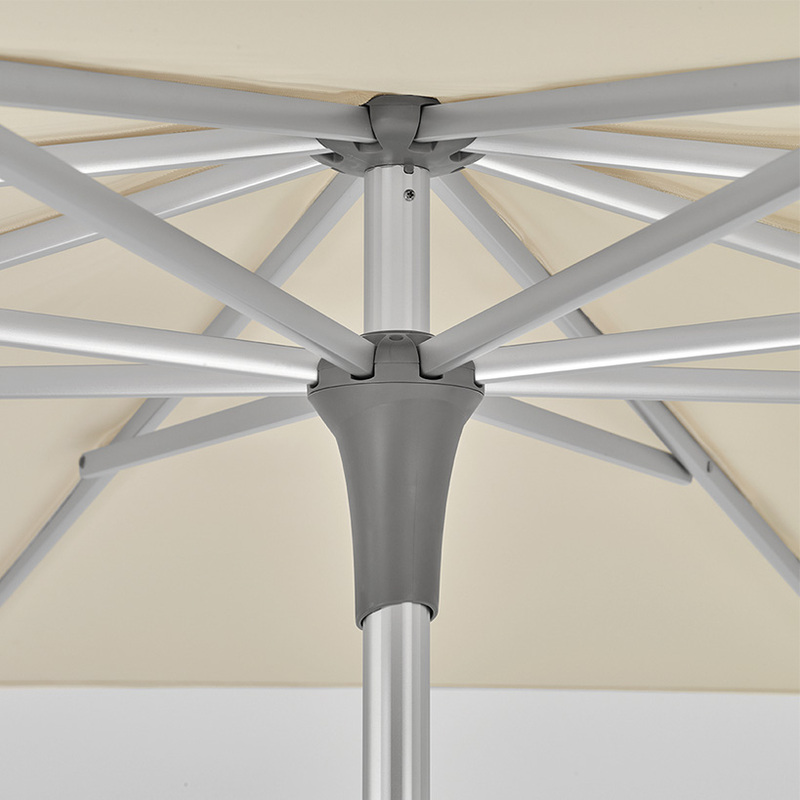 Even though the stainless steel used in Glatz parasols and accessories is resistant to corrosion, small brown spots may appear on the surface, especially if you live near the coast. If this happens, wipe the surface down with a sponge (always in the direction of the surface treatment). If the spots are older, a stainless steel cleaner should be used. These brown spots do not affect the durability or lifetime of the product. Do not worry, as these spots are only superficial, and only require simple cleaning. The stainless steel should look like new afterwards. Fold marks appear when producing and folding awning materials. These fold marks may cause the material to appear darker when held against the light, particularly in lighter materials. This is normal, and does not change the integrity of the fabric. Chalking refers to light stripes which form during the production process. These cannot be avoided, and are common to all Glatz parasols. 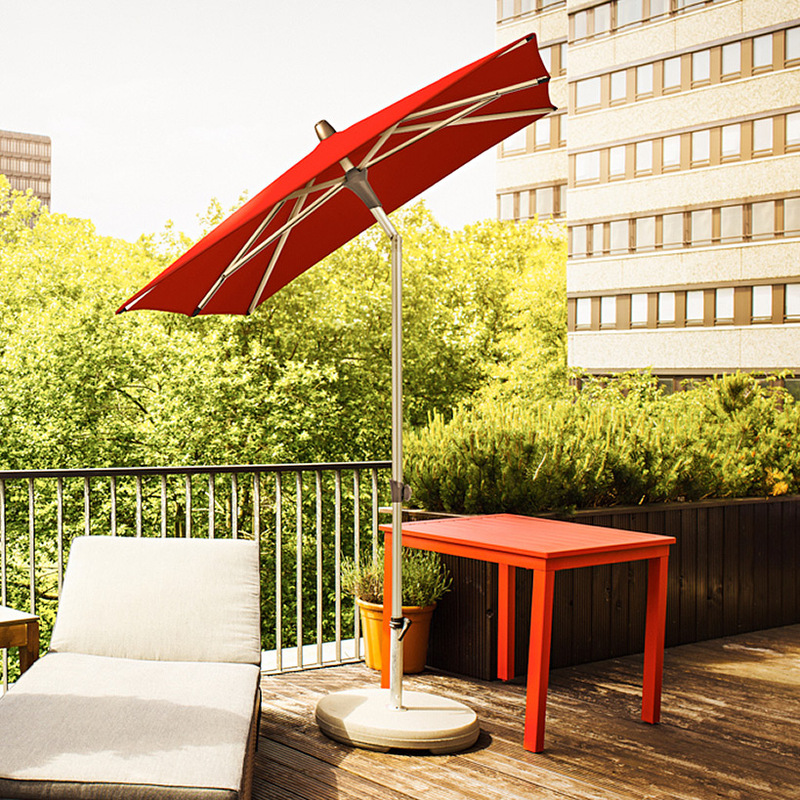 Some parasols may have overlock seams depending on their size, design and fabric width. These seams do not reduce the robustness or the quality of the fabric. Mould and mould stains form when wet or damp parasol fabric are not given time to dry. We advise that wet or damp parasols are opened up again as soon as possible to dry. 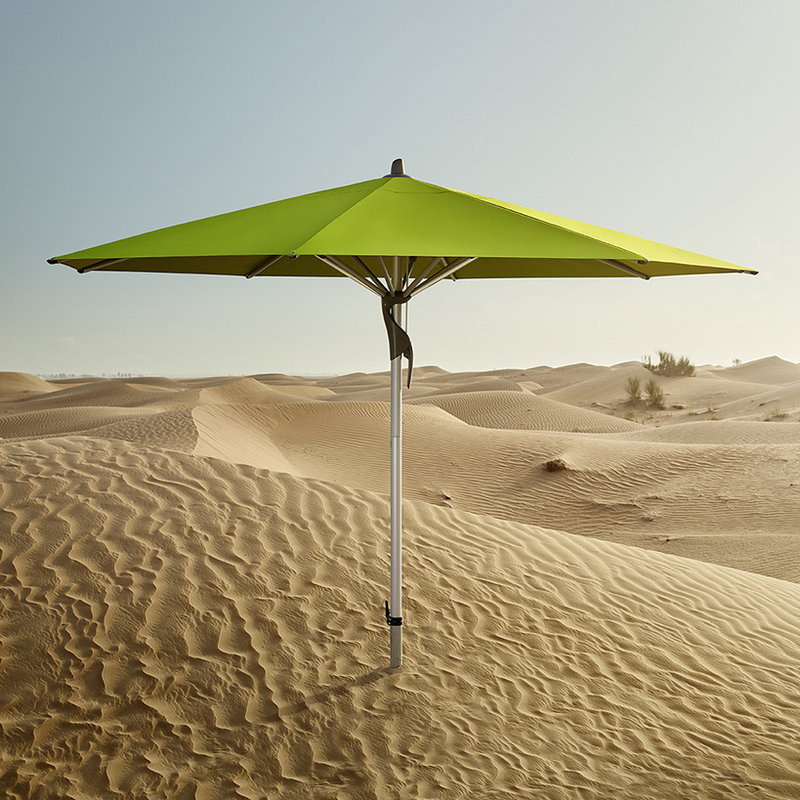 Dry parasols stored under covers should also be opened up to air from time to time, as damp can build up between the parasol and the cover. 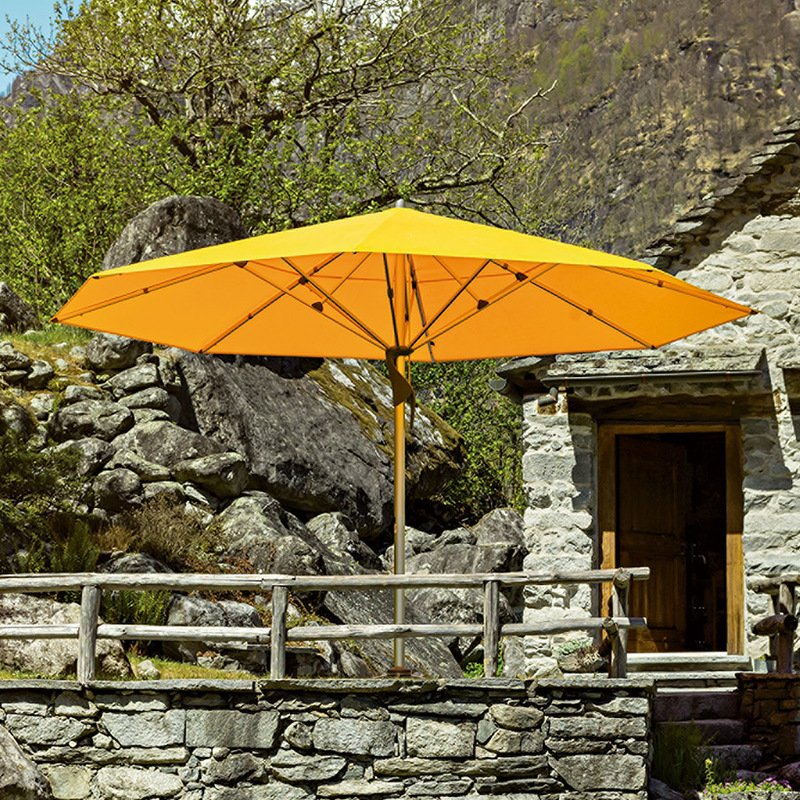 Be sure to bring your parasol in during the winter months, as the cold accelerates the build up of damp. 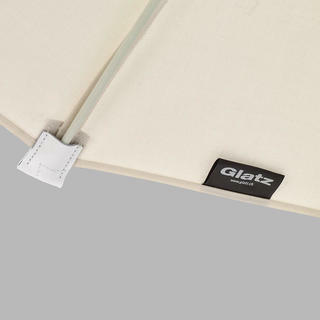 To ensure the greatest possible protection during the winter months, we recommend storing your sunshade under cover or, if it is left outside, with the use of an original protective cover from GLATZ. We advise against keeping sunshades outdoors during the winter, because of the formation of condensation; this dampness remains in the protective cover for a longer period of time, due to a lack of aeration. Damp or wet fabrics must never be left rolled up, or folded, for long periods. 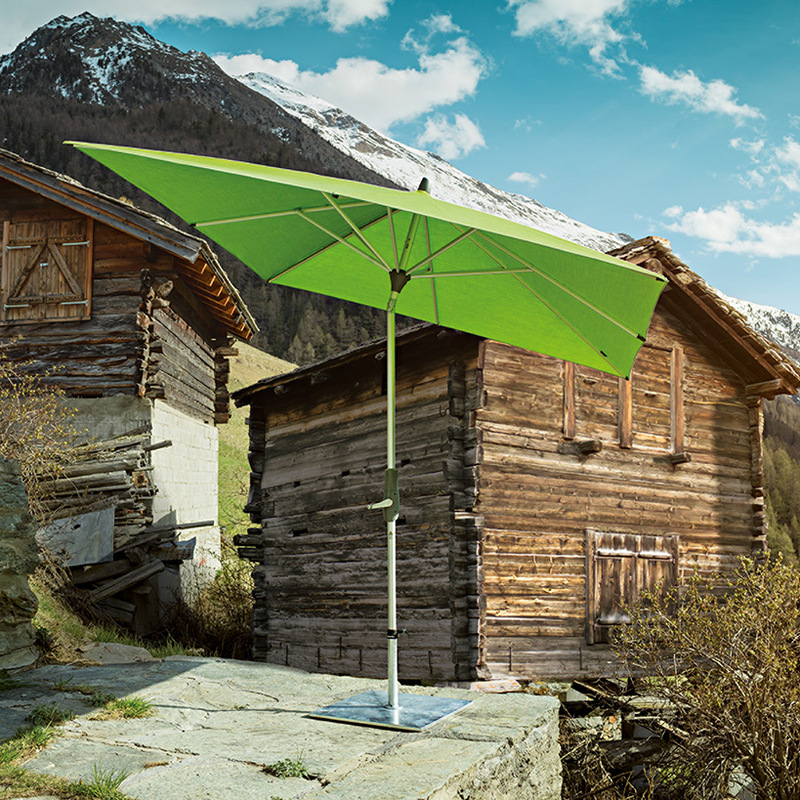 Please do not hesitate to contact us on 0345 605 2505 if you are having any queries about maintaining your Glatz parasol. We will be more than happy to help!